You'd be lucky to find more than a couple of these at any given park, unless, that Park is the Boston Harbor Islands National and State Park. This park starts with a drive right into the heart of the city of Boston. Next to Long Wharf you'll find the first visitor center. Here you can purchase your ferry tickets and pick up your maps. Now it's just a short walk to the harbor islands ferry (operated by Boston Harbor Cruises) to take you over to the actual park islands themselves. 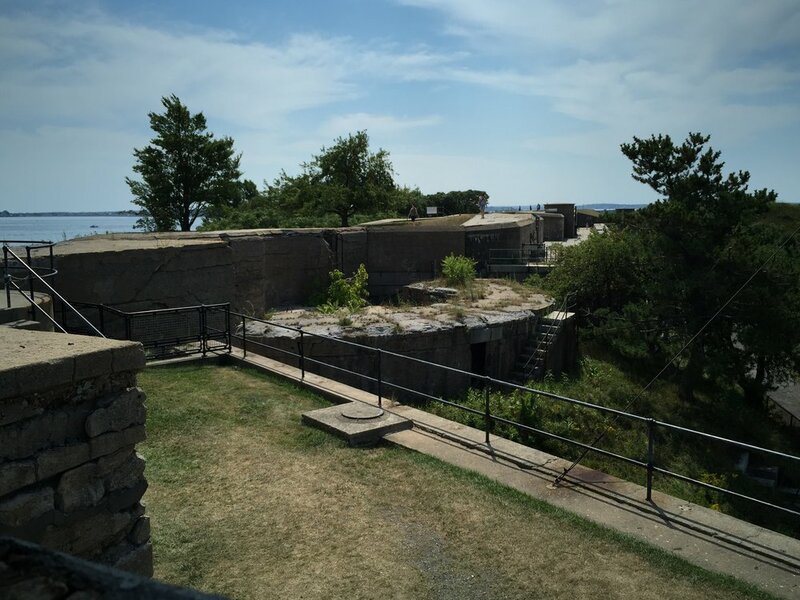 While there are quite a view islands to explore, we chose to venture over to Georges Island (home to Fort Warren) and then to Spectacle Island before returning to Boston. 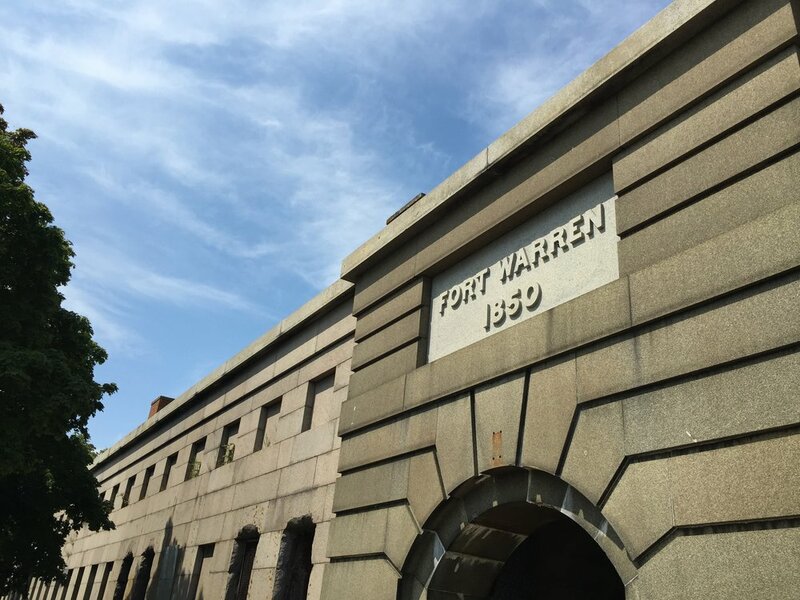 When you arrive at Georges Island, you are greeted by the remarkable site of Fort Warren. The fort is great area to walk around, get some much needed shade from the hot summer sun, or, on the day we were there, listen to some local musicians playing the center training yard. There are stairwells to explore (great for kids looking to play pirate games) and lots of climbing and running to be done. 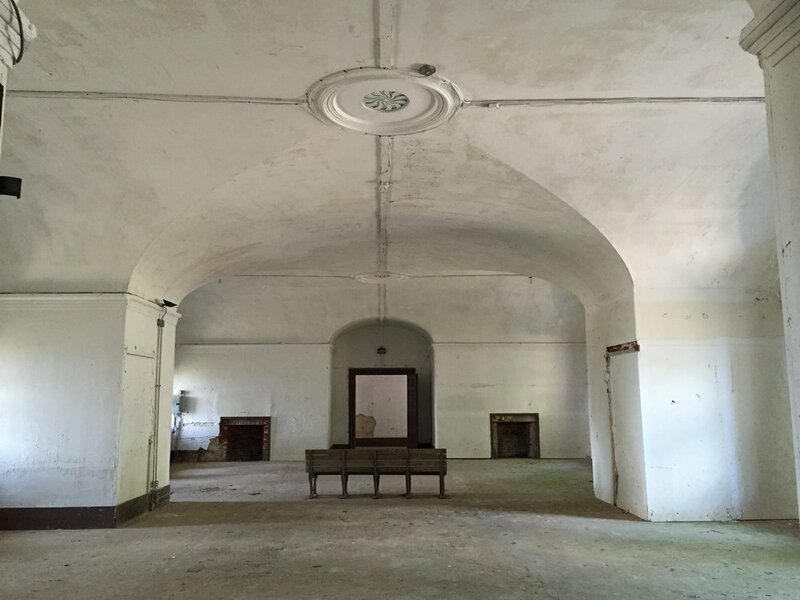 George's Island has a nice little visitor center that explains the history and importance of the fort in the protection of Boston Harbor. Anyone looking for food and drinks will also find a little restaurant to stop and take a break. There is even a playground for the little ones. After jumping back on the ferry it was a short ride over to Spectacle Island. To me, this island was more of a party island, I'm not talking spring break or anything but definitely a younger city crowd looking to get out on the harbor and head to a beach. 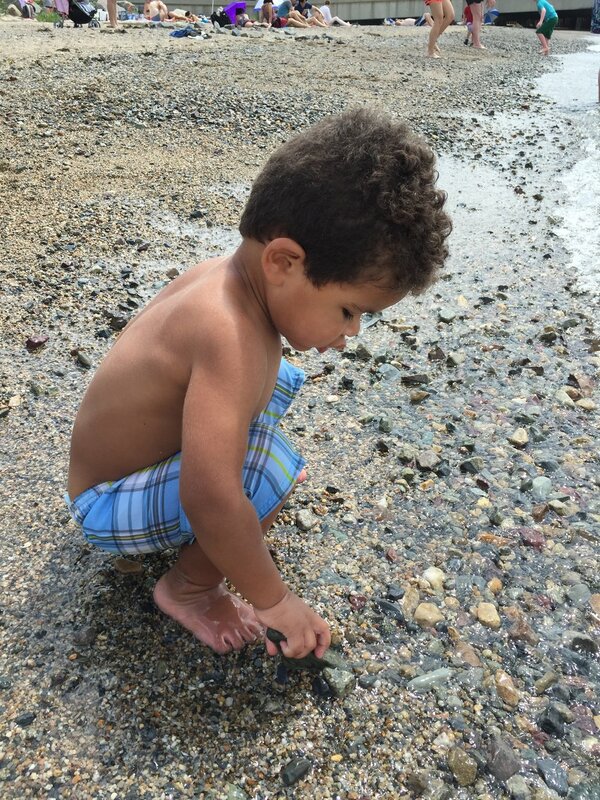 There are tons of trails to explore, a visitors center, changing facilities for swimmers and more. As I said before, it was HOT the day we went so we slipped into our swimming gear and headed down to the beach. A little note here: If you plan on visiting the beach here, bring water shoes, the beach itself is quite rocky and can be a challenge to walk on. When we were done cooling off, we headed for a hike to the top of the hill. Spectcle Island has the highest point on all of the harbor islands (Fun Fact: the hill was made with all the fill that came out from under the city of Boston during the Big Dig). The views are amazing and there is lots of room to run and play. Overall, BHI is a great way to spend a little outdoor time within stone's throw of one of America's greatest city. P.S. Camping and Yurt rentals are available on a few of the islands but it books up very quickly.